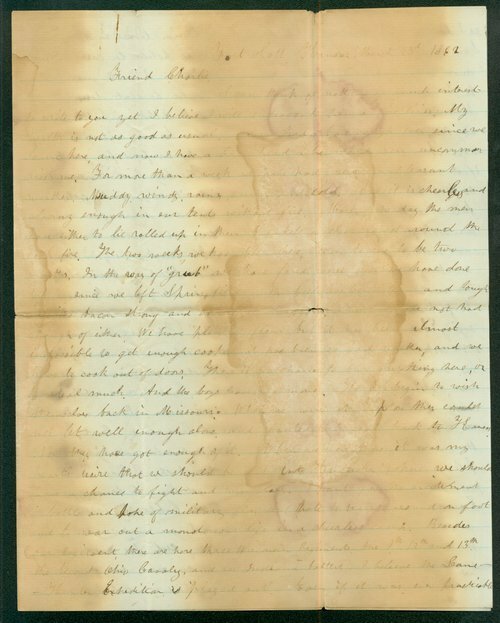 A letter written by Leigh R. Webber from Fort Scott, Kansas, addressed to Charles Brown. Webber expresses frustration at his bad health, the poor weather, and fort life. He wished for the troops to move to territory where they could engage in battle and gain "military glory." Webber describes the unruly behavior of the troops, including violence and drunkenness.